The Partiologist: Peppermint Candy Cake Pop! Could there possibly be a Christmas Cake Pop that's never been done? Click on the link and I'll show you the one! When I should have been preparing for Christmas Dinner, I was making Peppermint Candy Cake Pops, please don't tell. Even if you don't have time to make them this year, I do believe Christmas will come again and you'll have time to make them for next year. Start by rolling out a piece of white fondant. 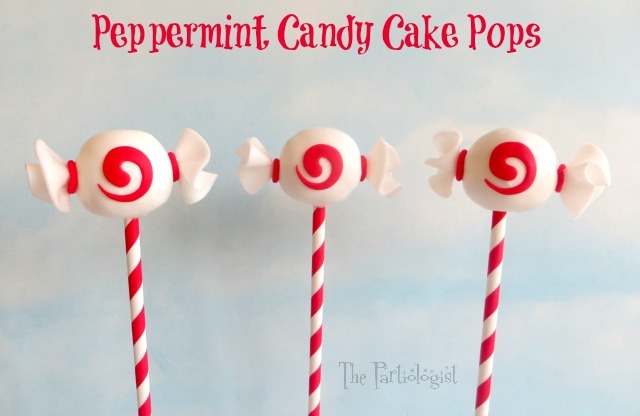 Cut two round pieces for each peppermint candy cake pop. Fold the edges together and pinch the bottom. Roll the bottom between your fingers to make it come to a point. Let the fondant ruffle dry overnight or until stiff. Use Wilton Bright White candy melts. Melt in melting cup or microwave safe dish. Make your favorite cake ball recipe. Dip the end of the white cake pop stick into the melted candy melts. Insert into the cake pop. 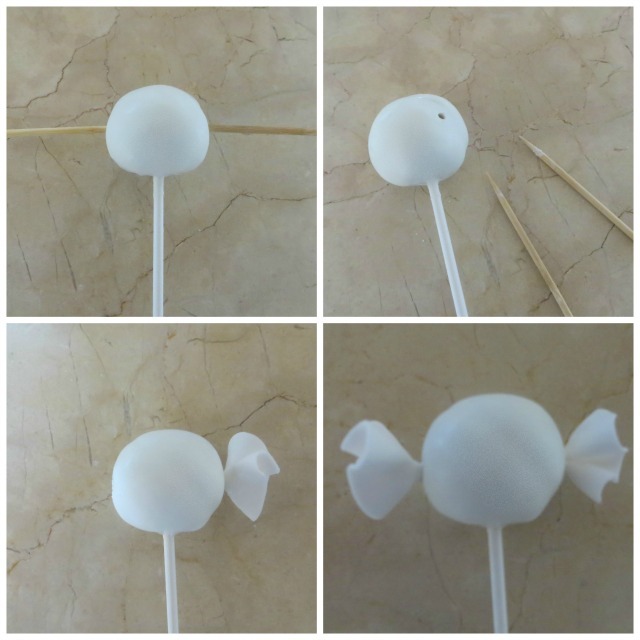 As soon as you finish dipping the cake pop, insert a wooden skewer into the sides of the cake pop, making a hole for the ruffle. Let the cake pop coating dry, then carefully remove the wooden skewer by twisting gently. Dip the end of the ruffle into the candy melts and insert into each side of the cake pop. Roll and cut a spiral out of red fondant. Make a red fondant string by using a clay gun and wrap a small piece around the ruffle. Add the spiral to the center. If you don't have a spiral cutter, you could pipe a bit of frosting in the center. 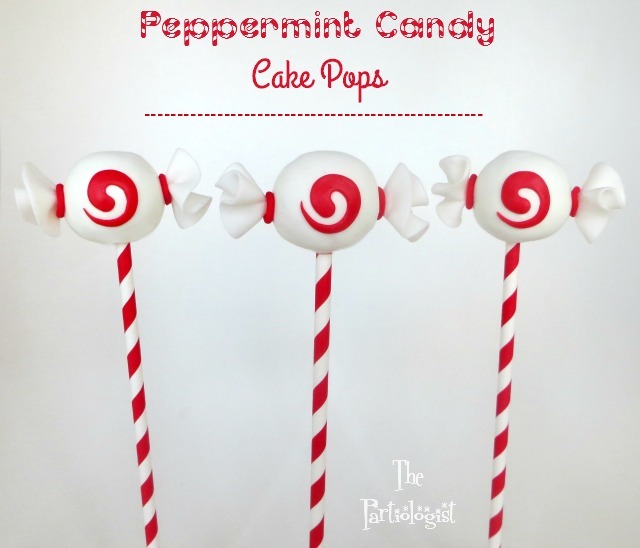 Now you've got yourself a Peppermint Candy Cake Pop. It's just what Santa ordered, so leave a few by the chimney. 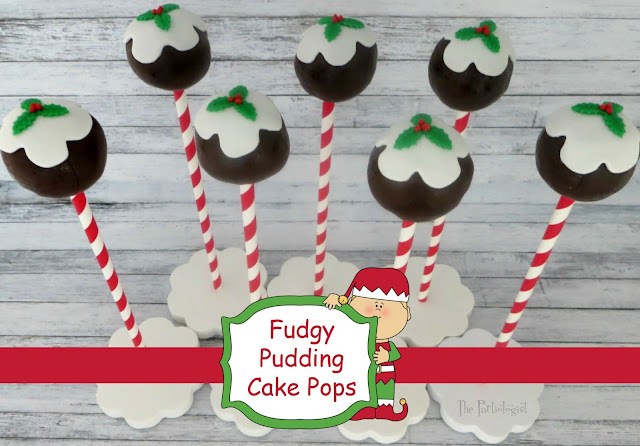 This is what I ordered...Fudgy Pudding Cake Pops! Thank you Cheryl, Merry Christmas to you too! I thought the same thing about cake pops, but you've done it and come up with something new. I love them. I need to ask Santa for one of those swirl cutters. I actually don't have that one! 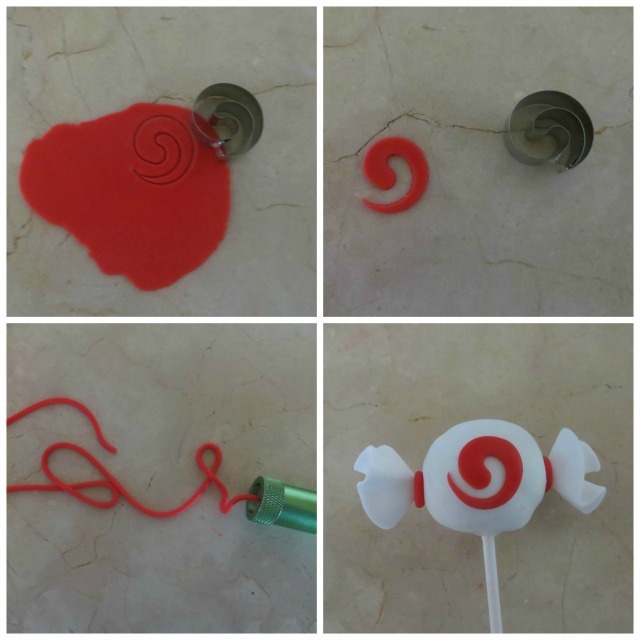 Yes, Santa would be happy to bring you a swirl cutter, you need it in your life! 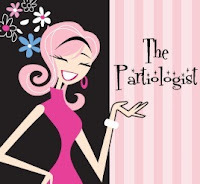 :) Thanks Beth! 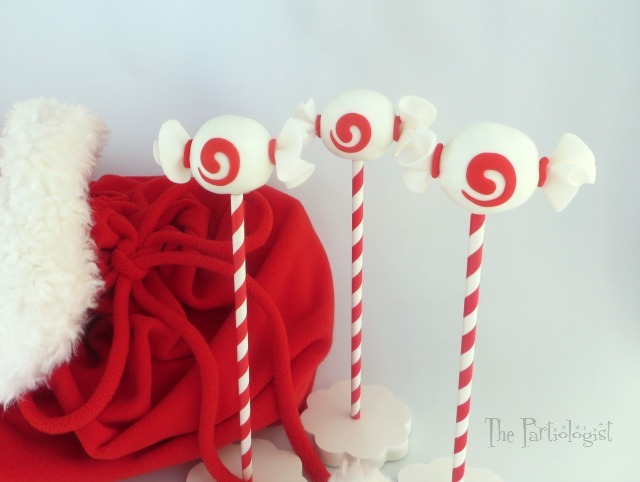 The Peppermint Candy Cake Pops are my ALL TIME favorite! I love them! Thank you Annette, makes me smile that you love them! :) See?